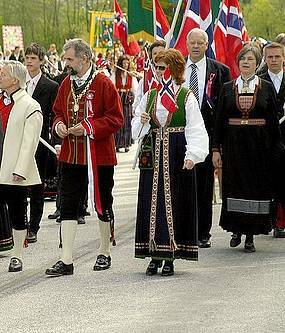 The culture of Norway is closely linked to the country's history and geography. Therefore Vishvet Foundation is trying for you to have everlasting enjoyment at Norway. The unique Norwegian farm culture, Stunning and dramatic scenery and landscape is found throughout Norway. You will be amaze to experience a real beauty with fast forward people at Norway. Vishvet always encourage the people to have a cultural exchange experience in country where multidiversity will be available. Norway is one of the country among them. In the 18th century, it brought about a strong romantic nationalistic movement, which is still visible in the Norwegian language, literature, art, music and media. We promise you to have your stay pleasant and memorable with our program. - Extremely high quality of life and the availability to see the highlights of Europe from a safe and accessible distance. - Most considerable experience in the field of Art, History, Sports, Technology, Cultural concerts, folklore with fun and exciting activities. - Experience northern lights or midnight sun above the Arctic Circle, or visit the world famous Norwegian fjords with tall mountains and glaciers.